Battlefield Heroes is a new cartoon shooter coming out this summer based on the battlefield series. The good thing about Battlefield heroes is that it will be free and it will have low system specs. It will be loosely based on the WWII conflict. Since it is only loosely based and a cartoon shooter it gives the creator a lot of freedom in what is done in the game. For instance tanks are twice as high as they are long. You are able to ride on the wings of planes. These things will make it very fun and interesting to play. 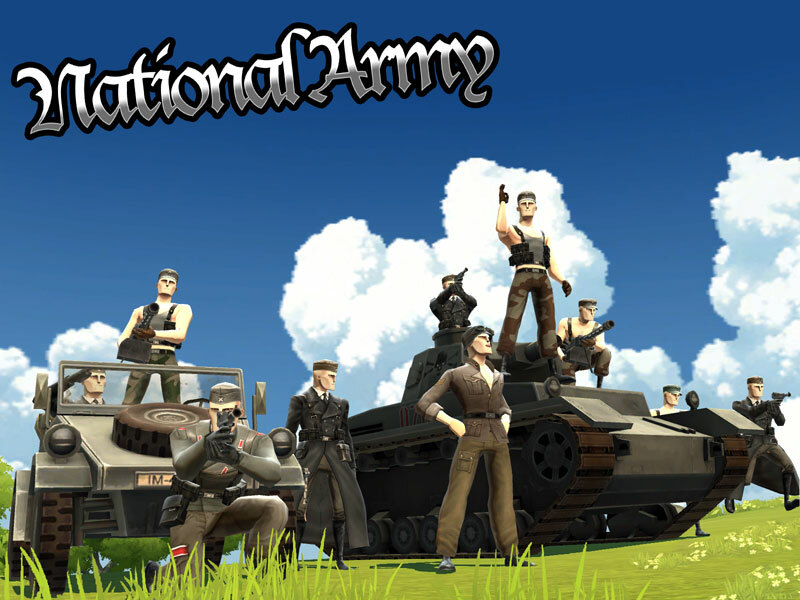 The game has 2 sides, The Royal Army and the National Army. The Royal Army could be compared to the British. The accents, equipment and look is British. The National army has a German feel. 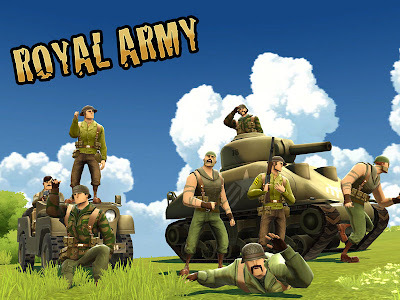 The Royal Army, notice that the uniforms and characters have a very British feel. The National Army is very German, circa WWII. Their are three character classes in the game, Commando, Solider and Gunnar. The Commando class is the sniper and sneaky character. I don't know how much a sniper is going to work in the game since it has been said that their will be no one shot kills. The Solider class is the leader class, the army guy who has good battlefield senses. It has been said that this class will have the ability to see enemies through walls. The Gunner is the class that can take the most damage. They will be the bullet absorber and have the ability to take major damage without dying. Their is one other thing about this game that makes it interesting, it is shot in the 3rd person. You get a 3rd person view instead of a first person. I like playing in the 3rd person best as it allows me to know where I am better, it's better for the beginner. The third person view also let's you see your damage and you see yourself die when you get killed. We Are Responsible for Our diablo 3 power level Life. And nobody else. Although diablo 3 Gold all success requires the assistance and cooperation diablo 3 items of others, our success can never be left to anyone else. Luck is not a strategy.